The first hydraulic fluid was merely water, which quickly turned into a problem as temperatures dropped below freezing. As machines became more powerful and operating temperatures rose, water as a hydraulic fluid became a problem because it would turn to steam. It also did little to nothing to lubricate and caused corrosion rather than protected from it. Modern hydraulic fluids evolved from a need to withstand a wider range of temperatures, provide better lubrication, and protect parts from rust and corrosion. 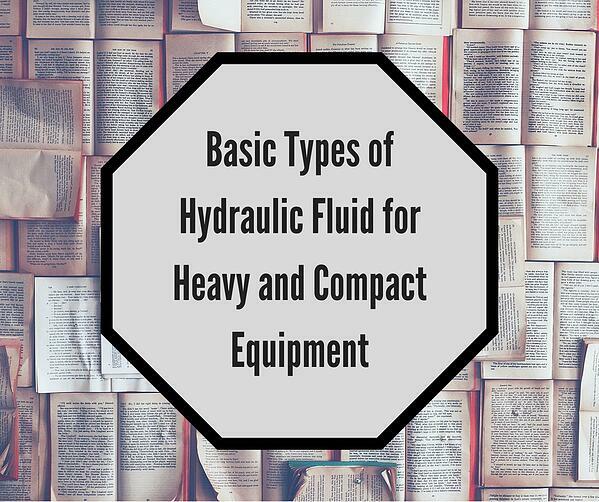 There are quite a few ways to classify hydraulic fluids. One way to classify them is according to their base: petroleum-based, water-based, synthetic, and biodegradable. The base typically accounts for about 98% of the fluid. These hydraulic fluids are made from refining crude oil. Additives are included to provide characteristics such as rust and oxidation inhibitors, anti-wear, anti-foaming. They are cheaper than synthetics, but with the right combination of additives they offer equivalent performance. Petroleum-based is the type of hydraulic fluid used in most construction equipment. Water-based hydraulic fluids are typically used where there is a high probability of fire. Because they are water-based, they do not have good wear properties (e.g., lubrication, corrosion inhibition, sealing). They usually have a certain percentage of oil added as an emulsion, but the base is still water. They tend to be cheaper than synthetics but more expensive than petroleum-based fluids. These are not typically used in mobile hydraulic machinery. 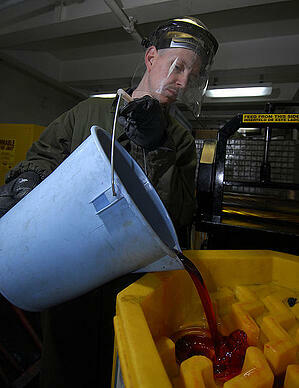 Synthetic hydraulic fluids are entirely human-made. They are specifically designed to provide the essential characteristics needed in a good hydraulic fluid. Synthetics are great for situations where there are extreme pressure or extreme temperatures. 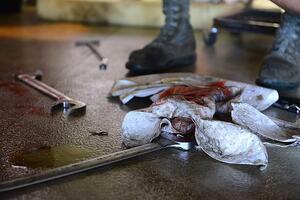 However, they can be expensive, toxic, and incompatible with certain seal materials. There are applications where a biodegradable hydraulic fluid is preferred. You’ll see this used in farm equipment where a fluid spill or leak could have negative repercussions on the environment. One of the more common biodegradable hydraulic fluids has a canola oil (aka, rapeseed) base. There are, however, other types available. Another way that hydraulic fluid is classified by based on API (American Petroleum Institute) Groups, which range from Group I through Group V. Hydraulic fluids derived from crude oil are contained in Groups I, II, and III. Group III is highly refined crude oil and may have some of its molecules chemically altered. In the US, Group III is considered a synthetic hydraulic fluid because of that chemical alteration. Group IV fluids are synthetics, and also called polyalphaolefins or PAOs. They are completely man-made (i.e., the molecules that form their base do not come from crude oil). Group V is for all hydraulic fluids whose base doesn’t fit into any of the other categories. Most mobile hydraulic equipment (of which construction equipment is a subdivision) uses either Group II or Group III hydraulic oils. There are quite a few different kinds of hydraulic fluid on the market today, and not all types are suitable for your machine. Always follow manufacturer guidelines for what type of hydraulic fluid is best for your machine. If you aren’t sure what to use, or you operate in conditions that might require a special type of fluid, experts usually recommend that you talk to the manufacturer and someone knowledgeable about hydraulic fluids to get a solid recommendation.